Get Natural Skin Care Tips! It is the time of the year to celebrate moms. 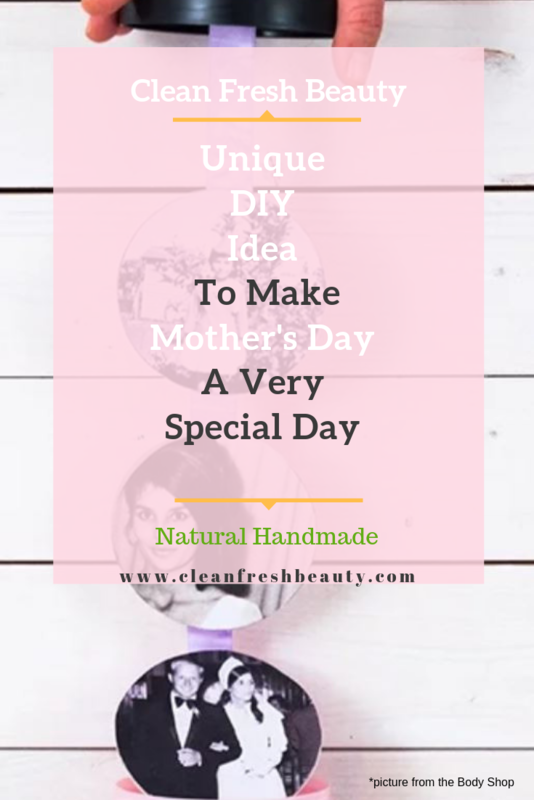 In this blog post, I share with you ideas for natural gifts that will make this Mother's Day a special one. #1 - Instead of going out for brunch or lunch, take your mom out for special day that would be filled with memories and connect you even more. Find a beautiful Park and organize a picnic with your mom. Share a meal that you both love. Bring the entire family to make this moment an even more special. Take a lot of pictures and share them with your mom. This is a gift that can keep on giving. 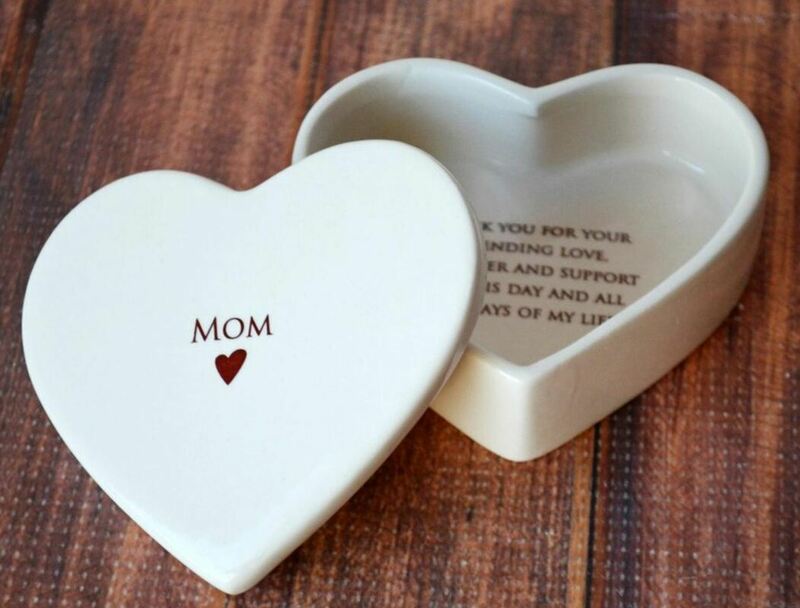 If you already have pictures of special moments you shared with your mom, you can create a photo album to give to your mother on Mother’s Day. This could be a digital album oh a physical one that you would share with her. 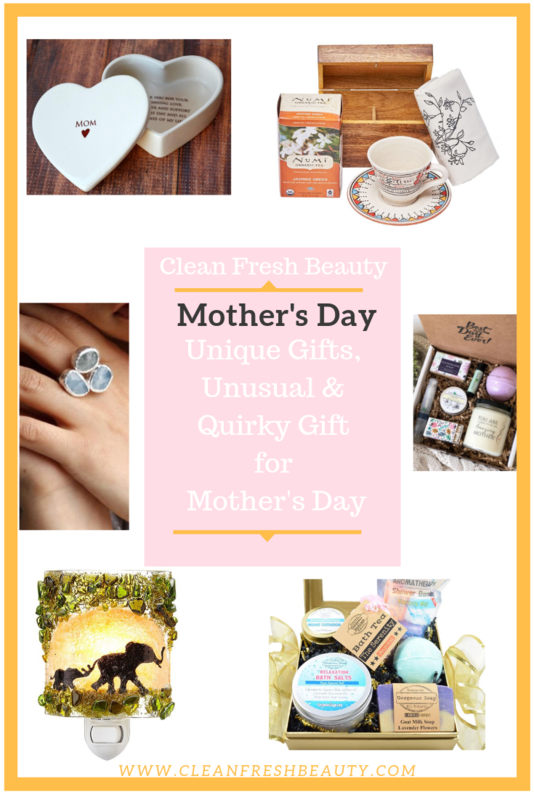 This will be an amazing opportunity to share special moments you spent with your mom. #2 - You could also do a DIY album photo for your mom. I love this simple idea from the Body Shop. Elegant, spa gift box set of our handcrafted products and finished with a beautiful hand tied ribbon. Click to shop for it! This Ring is hand crafted with pure and sterling silver. ​It is designed with three irregular cut aquamarine stones. See its matching bracelet and brooch... This bracelet is hand crafted with pure and sterling silver. I designed this bracelet with irregular cut aquamarine stones. A glowing homage to motherhood, this recycled glass nightlight is brimming with storybook appeal. This gift is for a first time mother. 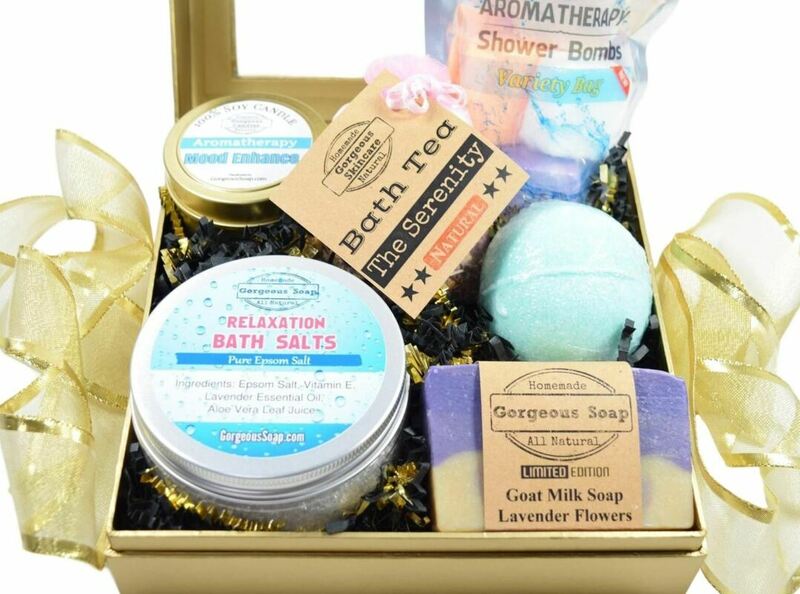 This spa box will give any pregnant women or recent mother a relaxing day. 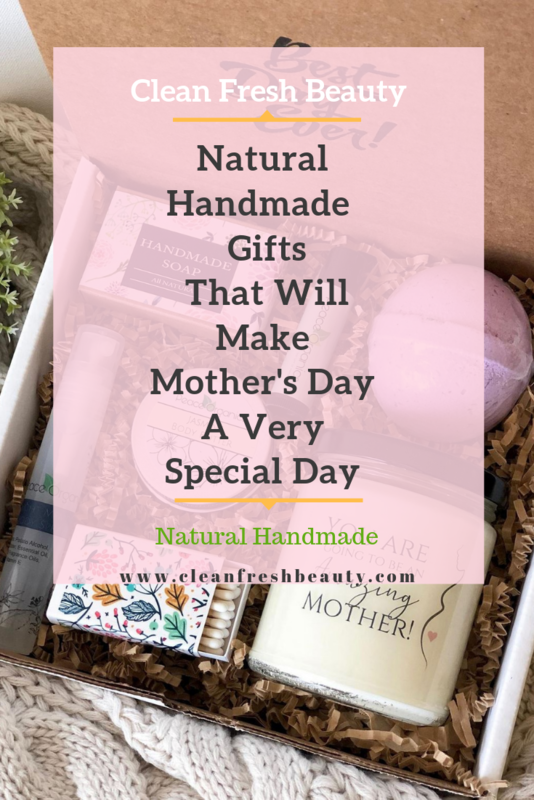 1 — Natural Moisturizing Lip Balm, 1 — Travel Size Scented Organic Body Butter, 1 — Travel Size Organic Body Spray, 1 — Your Personalized Gift Message on a Card. Shop for it here! Trying to A Leaving A Natural Lifestyle? ​Not Sure What Natural Products is for You? Sign Up To Find Out! I struggle with allergies all year long, but spring allergies are the worst. 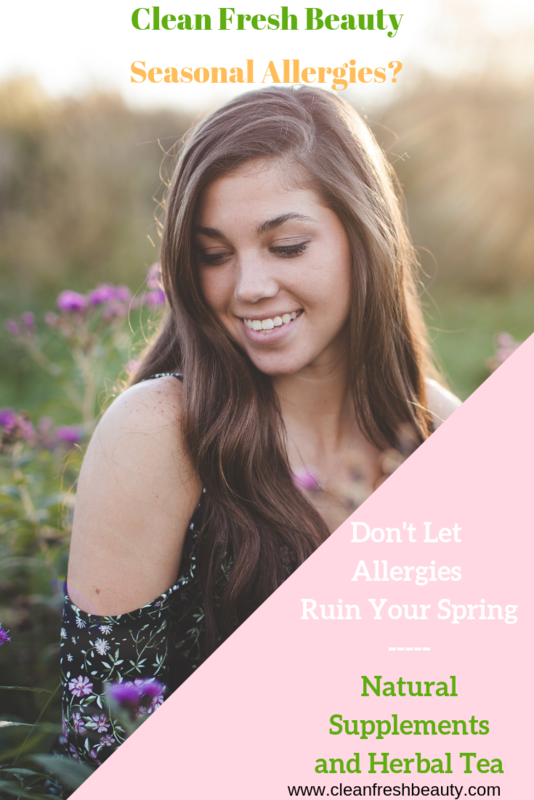 Whenever you have allergies year round or your allergies are triggered by spring newly cut grass, pollen, or others, dealing with allergies is so so frustrating. 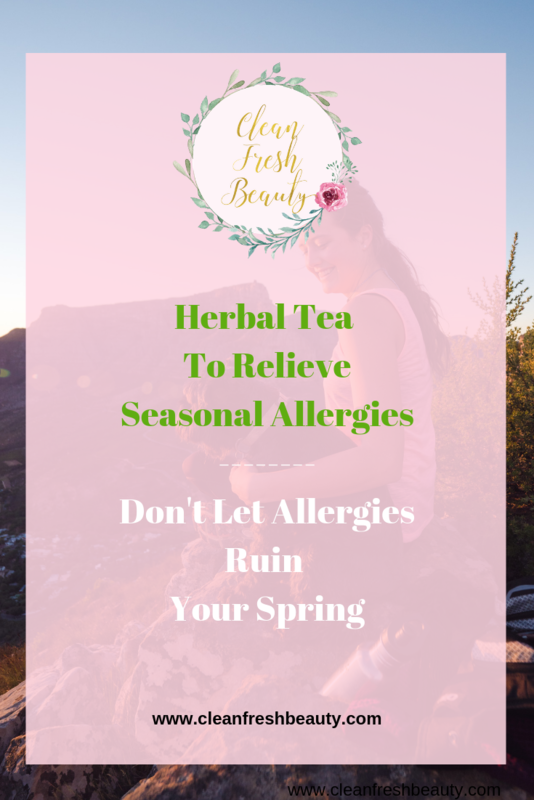 The never ending sneezing, coughing, itchy eyes, congestion, runny nose, and even endless sinus infections can ruin a perfectly beautiful spring. One of my most frustrating moments was when I had a severe sinus infection and went to see the ENT to find out that I was breathing at 70% because of allergies. I was miserable; I tried many natural supplements and herbal teas and they help so much to relieve my allergies symptoms. 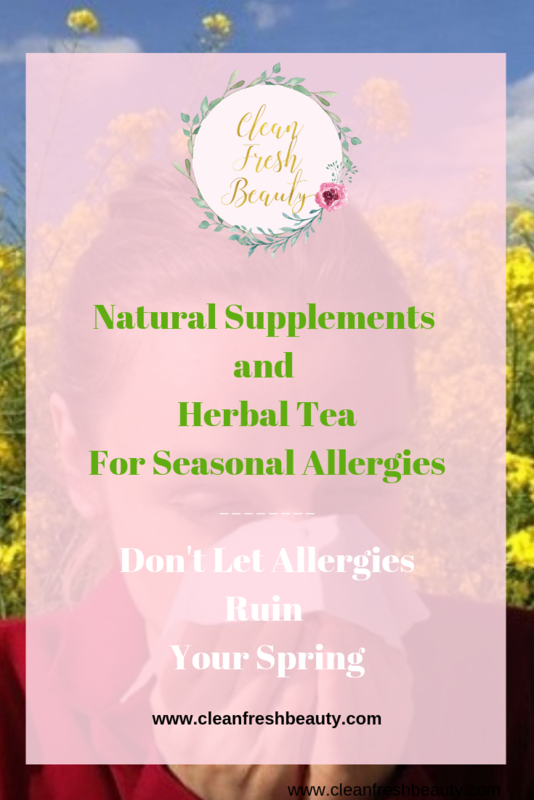 In this blog post, I share with you herbal teas and supplement that help my allergies and allow me to enjoy spring. Herbal teas also called tisanes are are made using spices, seeds, roots, flowers, and leaves. They are usually caffeine free. To retain the therapeutic benefits from teas, after pouring boiling water over your tea, cover it while it steeps and let it sit for at least 10 minutes. If you have been suffering from seasonal allergies for years, someone probably already recommended nettle tea. By itself, stinging nettle tea is irritating and unpleasant, but when you boil them into tea they become a super healer. To help with the unpleasant taste, you can (and should) mix it with other herbs to make it taste better. But, I found the Republic of Tea Organic Nettle Superherb Herbal Tea. Wow, this is an amazing tea. ​Wow, this is an amazing tea. I had immediate relief. From the smell to the taste, I was breathing better. I am usually not a big vanilla tea fan, but this tea does it. They also added peppermint which works great to open the air waves. 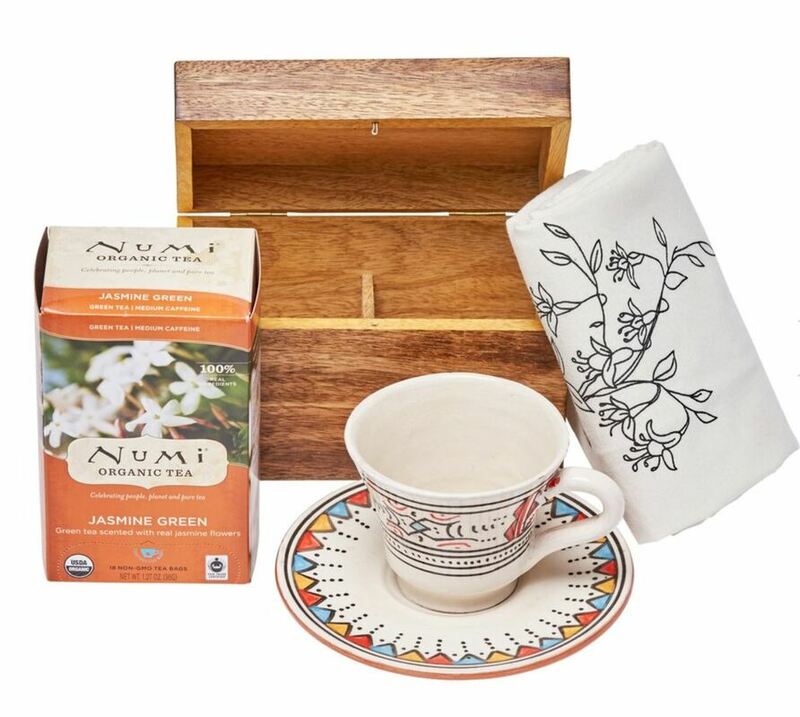 Peppermint and stinging nettle tea have amazing anti-inflammatory and soothing properties. To prepare for spring, you could start drinking Garden of Life Natural Sinus Support in march. This herbal tea contain 8 wild–crafted herbs along with probiotics, enzymes and whole food vitamins and minerals and beta glucans. Their main ingredient is butterbur extract. Studies show that butterbur is as effective as the antihistamine fexofenadine (Allegra) in providing relief from allergy symptoms. This herbal tea work so well. I sleep so well the first day I drank it. I noticed less sinus infections as well. Gone are my congested weeks. I try to drink this tea daily. I also notice less post-nasal drips over time too. If you are ok with spicy, you will love Prince of Peace Instant Ginger Honey Crystals. I actually drink this tea all year round. It is great to quickly deal with cold in winter. In spring, the natural antihistamine and anti-inflammatory properties help so much to deal with itchy throat and coughing. One of the symptoms of seasonal allergies is tiredness, so this tea comes in so handy to wake me up. I also love that I can mix this Instant Ginger Honey Crystals with other teas that are great for seasonal allergies. Lately, I have been mixing this crystals with Gaia Herbs Bronchial Wellness Herbal Tea. The mix is so soothing. Lately, I have also tried this himalayan salts and essential oil blend. Oh, it is so good at helping me breath better. For essential oils, they used peppermint, eucalyptus, lavender, tea tree. This is very clearing and easy to carry around. I have it in my pocket and use it whenever needed. What are your natural remedies for seasonal allergies? Fermented food is amazing for gut health; Fermented food supports the body production of good bacteria in our gut. 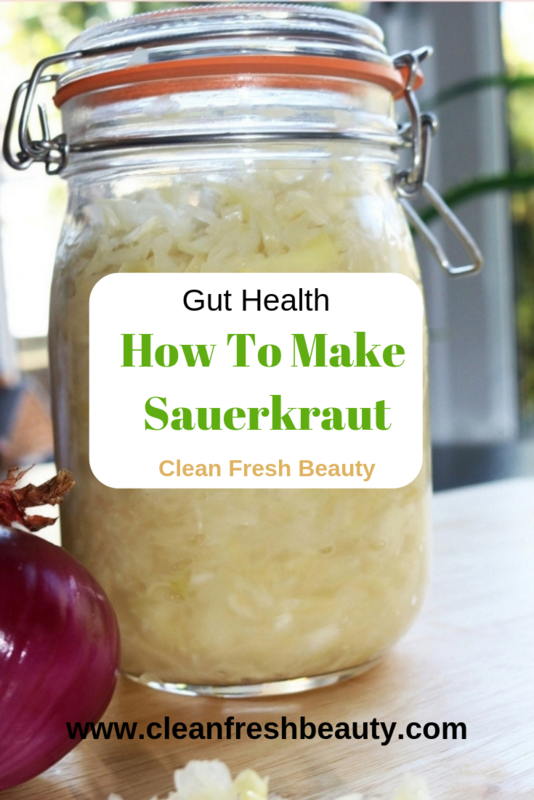 One of the easiest fermented food to make is sauerkraut. Here is an easy recipe. And massage the cabbage for 5 minutes you will see it get some liquid out naturally. Put something on top to maintain the cabbage submerged. Cover the top with some cheese clothes. Air should be able to go through the top. Taste 3 days after and make sure the cabbage is still submerged. Leave it rest for a week. Cover with a lid and put in the refrigerator. 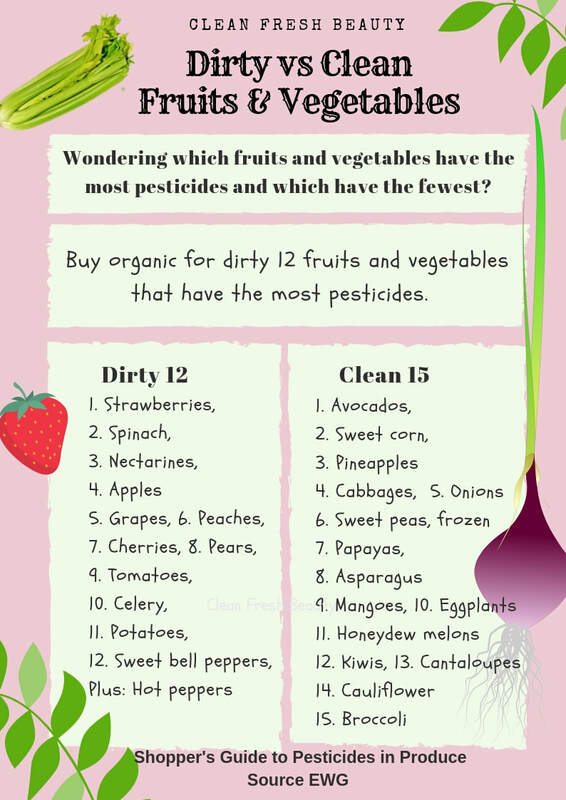 Get Tips on Organic Beauty and Wellness! Happy Valentine's Day! Today it's all about love but don't forget, it's also the day and the weekend for self-care. 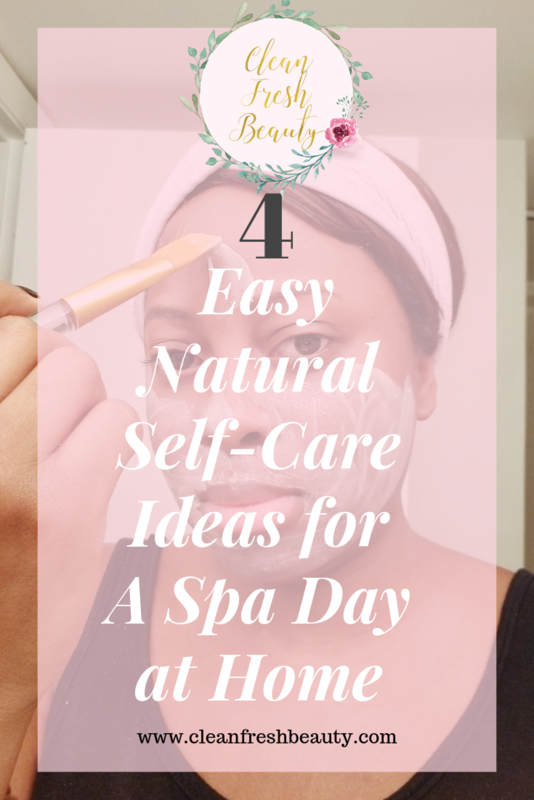 This is also the time to treat ourselves with a spa at home and it doesn't have to be expensive. 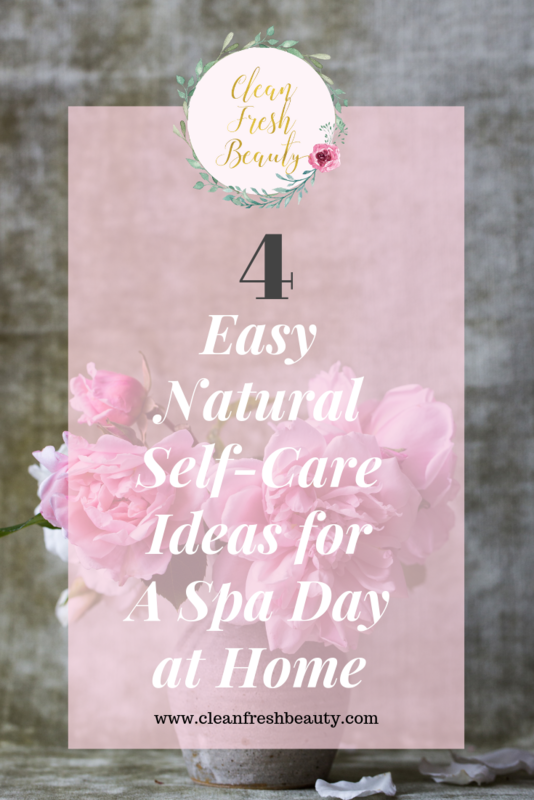 Here are four quick natural self-love/spa at home ideas to relax and feel great in our skin. First, pamper yourself with these five DIY clay masks. I love clay masks; they purify our skin and. make our skin feel so soft. My favorite clay is Aztec Secret - Indian Healing Clay. Second, If you have a busy schedule, take a relaxing aromatherapy warm shower with the shower steamers from Mineral Me. It's $18 for a set of 6. This will literally take you 15 minutes and you will feel so relaxed. Third, Just settle in your favorite spot at home with a scented soy candle to read your favorite book or to watch your favorite movie. My favorite natural lead-free soy candles are Lulu Candles. They have many lovely scents like Wild Lemongrass, Lavender, Sea Salt Water & Lavender. They cost for $15 and are slow burning. I just red the O magazine from Oprah and they had a column on New Year's resolutions, and few hours later, I ended up reading an email from MindBodyGreen with 15 quotes to stick to our new goals. Well, let's revisit our goals and get a little boost to keep moving forward with our goals and resolutions. First, we need to make sure that we have a goal or a resolution that is achievable. You know what I am going to talk about. Yes, SMART goal/resolution. This formula has been working forever and there is a reason for it. 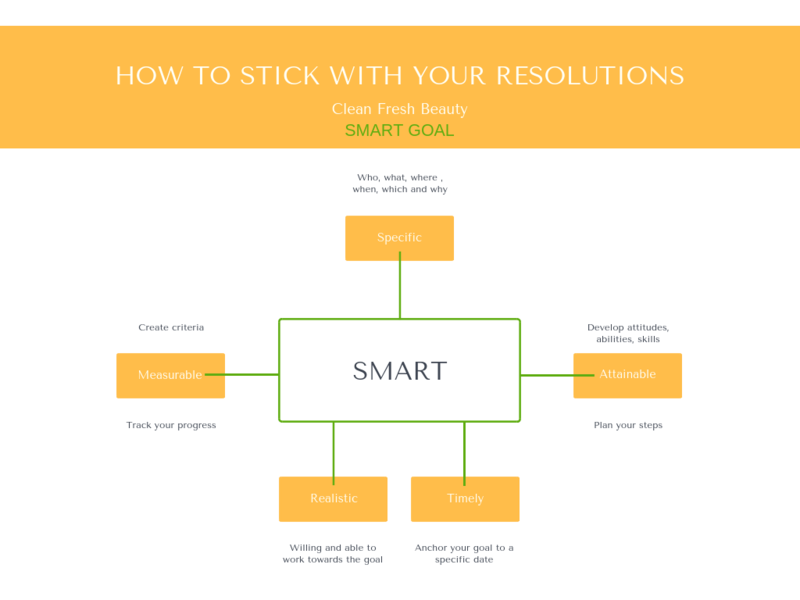 ​First - Are your resolutions/goals SMART? Check and Make Sure! 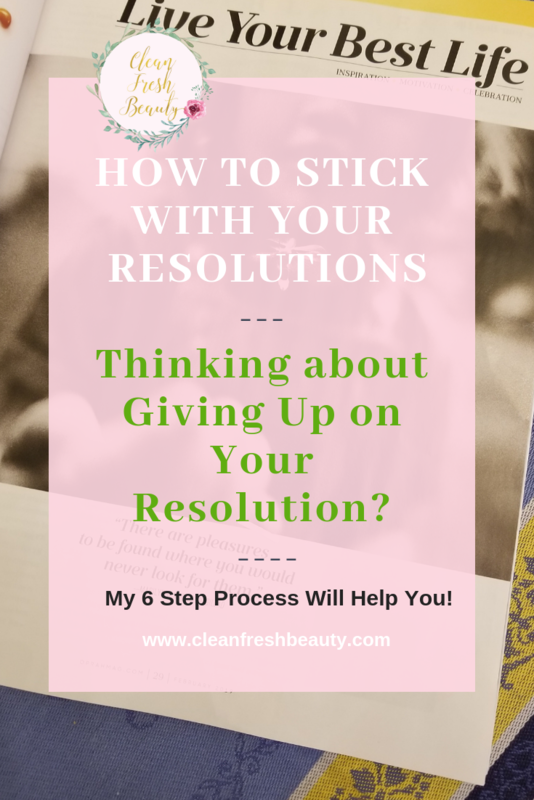 Once you've made sure that your goals and resolutions are SMART, it is time to make sure that we are sticking with them. Second, Here is my 6 step process to help you! Third, You've made it. Now You have a plan to stick with your resolution. Pat yourself on the back. This is the first step for you to keep up with your resolutions. I recommend going back to this process once once a week to reinforce your decision. I don't know about you but, it is more and more difficult to lose weight as I grew older. I wanted give you (and me) more reasons to stay off the weight gain wagon this time of the year. These tips are easy to do! Did You Miss the W.E.L.L. Summit 2018 in Brooklyn, NY﻿? This year, the W.E.L.L. Summit 2018 was in October 5-6, 2018 in Brooklyn, NY. I If you missed it, I’m here to fill you in! W.E.L.L. stands for Wellness, Empowerment, Learning and Luxury. This two day conference is an holistic 360° wellness experience focused wellness, self-love, empowerment and all things green beauty and clean living. Last year, I stayed at the conference for one day and it was anamazing experience, so I decided to stay the full days this year. The 2017 W.E.L.L. Summit was packed, but this year, wow, the vibe was electric with so many like-minded people cheering and sharing this experience together. If you follow me on Instagram, you know that I suffered severe burned out recently and I needed to go back to prioritizing myself and being present; I also re-read two of my favorite books : The Power of Now and Own Your Glow. This conference felt like a perfect opportunity for me to just hit the reset button. So, I was so excited to the W.E.L.L. Summit 2018 in Brooklyn, NY. What were my expectations of the event? So , how was the conference? Subscribe to receive updates from the blog! At registration, you get a bag of goodies. My bag was full of natural beauty and wellness products. The amount of products you receive in your bag depends on your ticket (general admission, VIP, etc...) and several of the products were full size too. During the conference, all the vendors had plenty of organic and natural products samples for us to try from your favorite brands. I bought few products at 20% or 30% off. I also enjoyed the free fruit juices and alkaline water they had for us to stay hydrated. They also served breakfast and lunch with vegan and vegetarian options. If you've never been at the WELL Summit, there are panel discussions on a main stage with experts and keynote speakers and then there are breakout sessions for smaller group discussion with experts. It was so inspiring to listen to all the busy women sharing their experiences with us and empowering us to get a little closer to our own wellness path. Balance does not exist; we should focus on designing our environment to meet our needs. Feeling overwhelmed and struggling is ok. It all about how we handle our challenges. Your self-awareness is your superpower. Listen to your body and act on what you feel. Let's not overburden ourselves with "must dos". We could use mantras to help us embrace what is. Mantra: This is what it is right now! Having a structure helps. Being organized and having a reference that always calm us will help us feel rested and restored. The words we use to describe our lives have energy and we become that energy. If we say that our life is busy and crazy, our energy shift to being busy and crazy. We need to rephrase. Maybe replace "I am so busy" by "I have so many opportunities" Liz Plosser, Editor-In-Chief of Women’s Health. Have you been to the WELL Summit? What did you think? The breakout sessions feel so intimate! These sessions are in small groups of 40 people and It really feels like the experts are directly talking to you. It is also ideal to ask direct questions to experts. Fermented Food: How to Use Probiotic-Rich Foods to Grow Your Gut Garden and Heal Your Body. Fermented food is amazing for gut health. I took a course by Phoebe Lapine, a food and health writer while attending the WELL Summit in NY in October 2018. 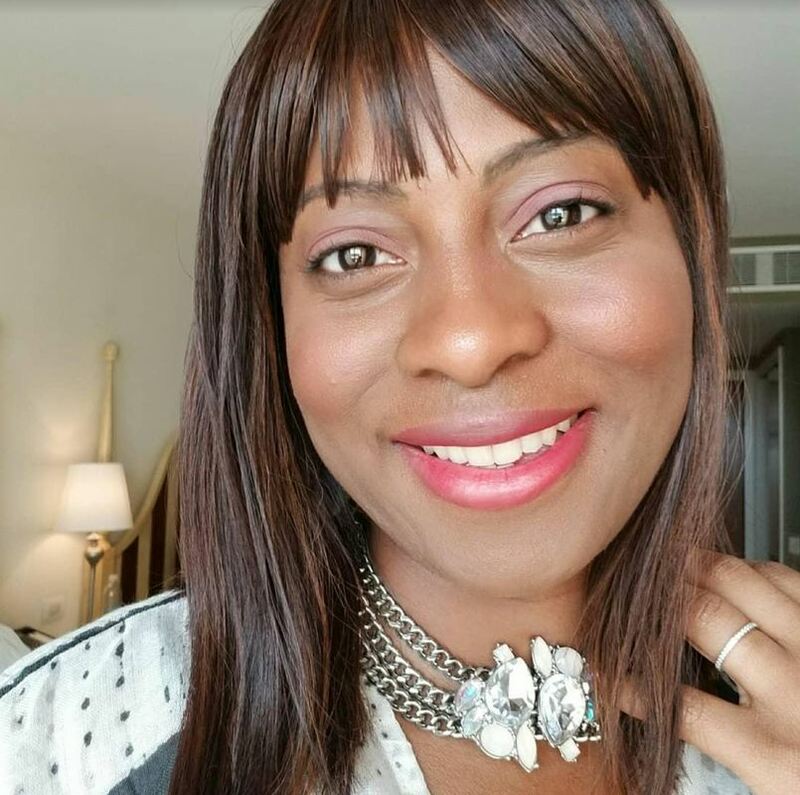 Phoebe's book, The Wellness Project, chronicles her journey with Hashimotos Thyroiditis and how she learned how to cook food that support our health. During the class, we learned about the impact of fermented food on our health; Phoebe was great and gave us few tips and an easy recipe on how to make Sauerkraut. We also tasted a salad with fermented food and it was delicious! Th health of your gut impacts everything from your mood to your sleep. Fermented food supports the body production of good bacteria. The focus here is the health of your microbium. Your microbium is the whole bacteria system of your body and it is essential to our health. 70%of your microbium leaves in your guts. We all know it, but it is worth repeating. Antibiotics, while helping us, also wipe out our microbium. Chlorine in the water is also killing the bacteria in our body. Anti-acid reduce our stomach acid. This depletes the first layer of bacteria that fights for our immune system. Advil and birth control pills also create an unbalance in our hormones. Avoid probiotics that are not in the refrigerated section. Misconception about probiotics : they add new good bacteria. The truth is that probiotics act as an agent to help create the good bacteria in our guts. Food that are have insoluble fiber are great for gut health. Diversify our natural source of probiotics is essential too. You could do a stool testing to assess your diversity.